You need to be a registered and approved business customer to view pricing and order this product. 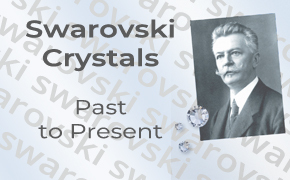 Swarovski 2088 Flat Back crystals lead the rhinestone industry. The patented 2088 Xirius cut Flatback Rhinestone features 16 facets creating a unique starburst shape for extreme sparkle and shine . 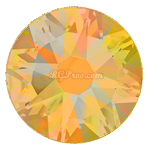 Swarovski 2088 rhinestones are available in sizes from SS12 up to SS48. Smaller sizes SS5 to SS10 are made exclusively in the 2058 Xilion Rose cut. They can be glued to various materials such as fabrics, wood, metal and plastic. They are used in many industries for costumes, dance, dancesport, skating, equestrian, show clothes, and crafts. The can also be applied to fabrics with rim or tiffany settings. 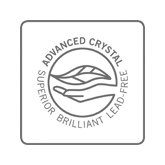 Swarovski 2088 Xirius Flatback Rhinestones are made of "Advanced Crystal" and are lead free* and compliant with international standards. Approximately 7.07mm - 7.27mm, allowing for a slight variance. Copyright Rhinestone Guy Professionals. All Rights Reserved.